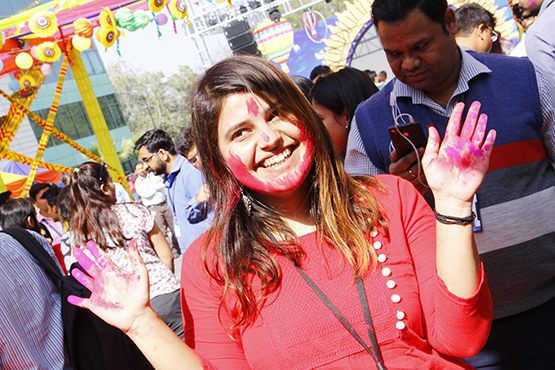 Holi, known as the ‘festival of colors’ is celebrated with friends and families. 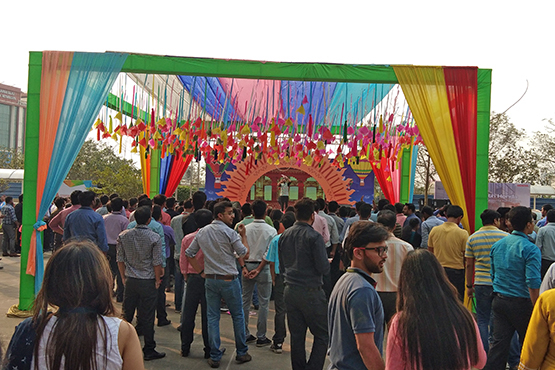 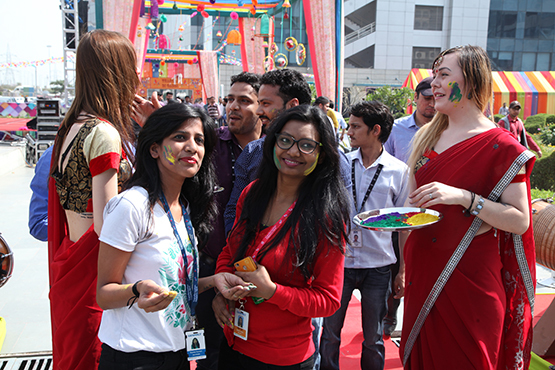 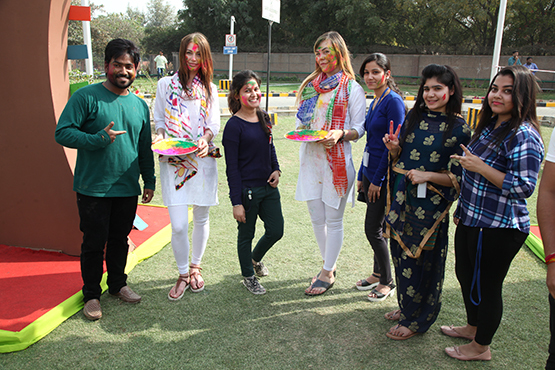 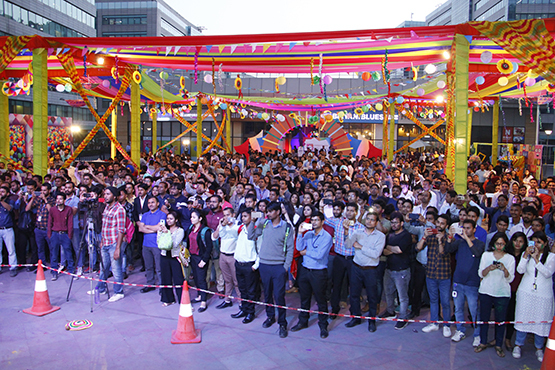 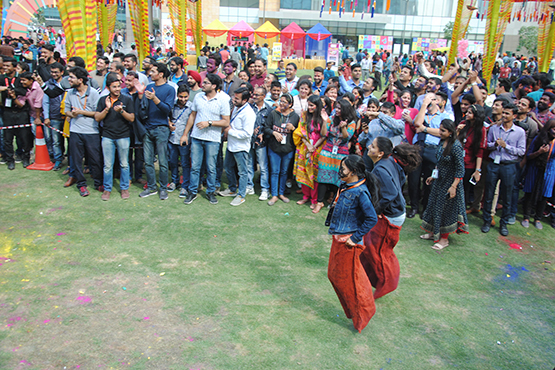 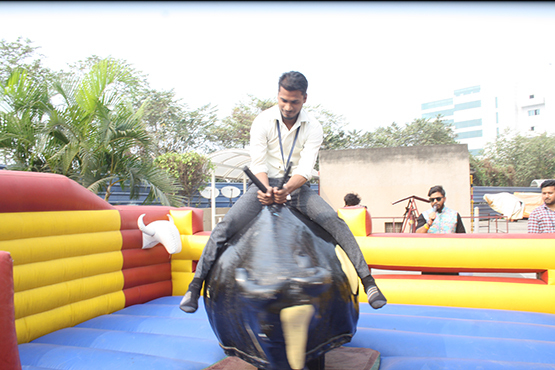 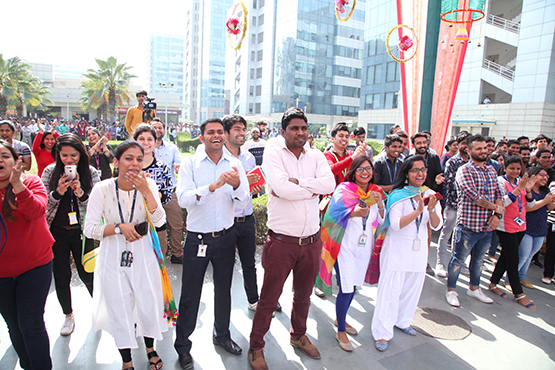 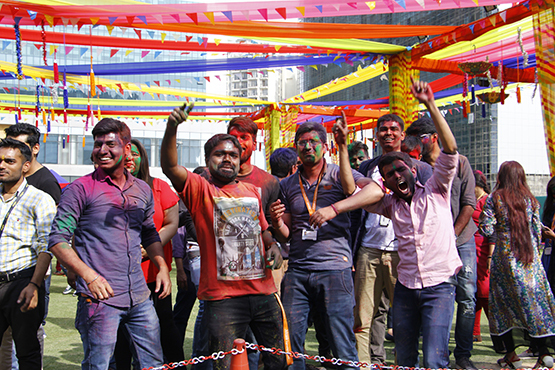 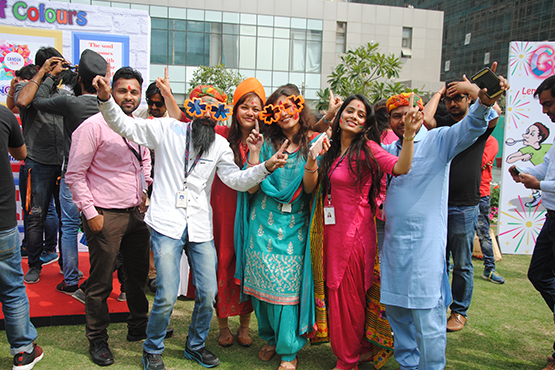 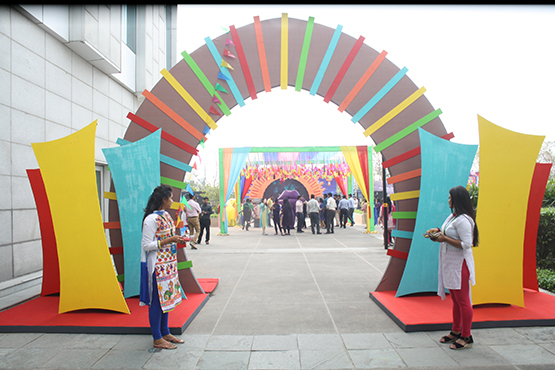 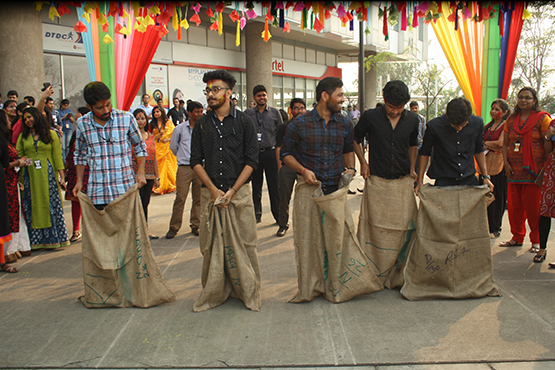 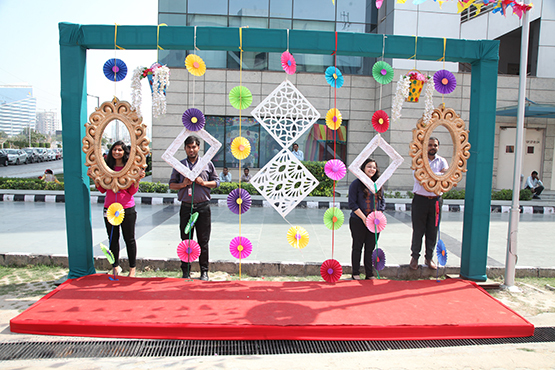 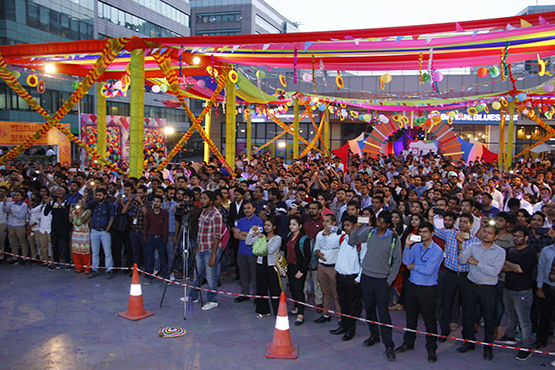 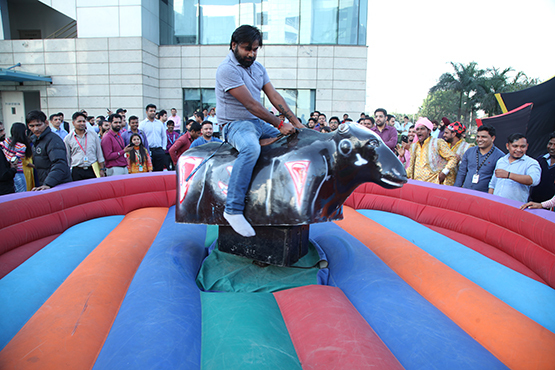 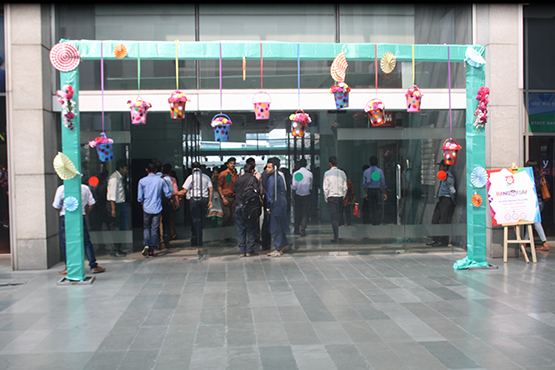 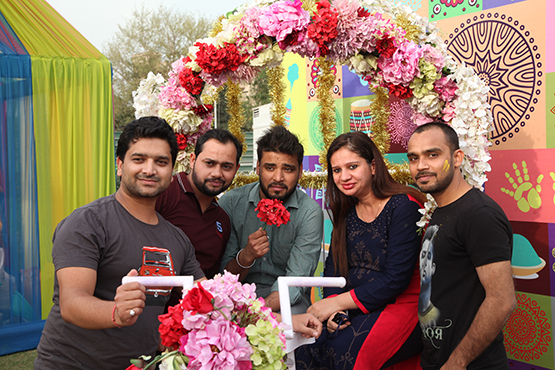 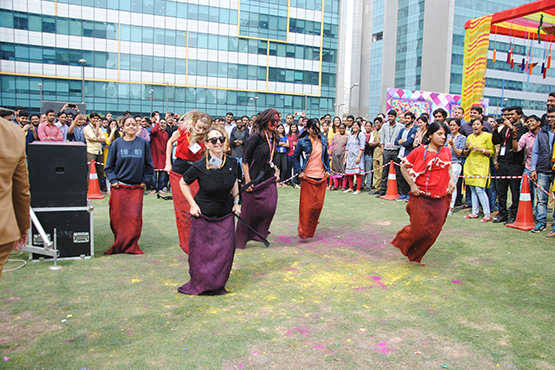 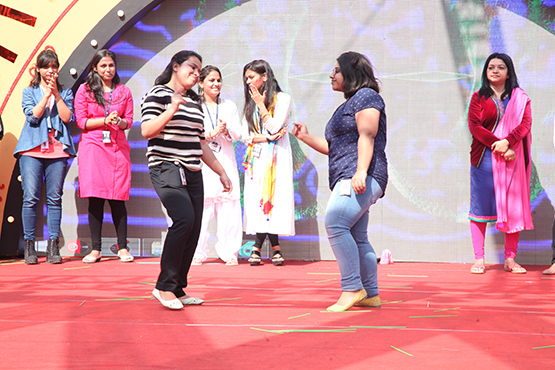 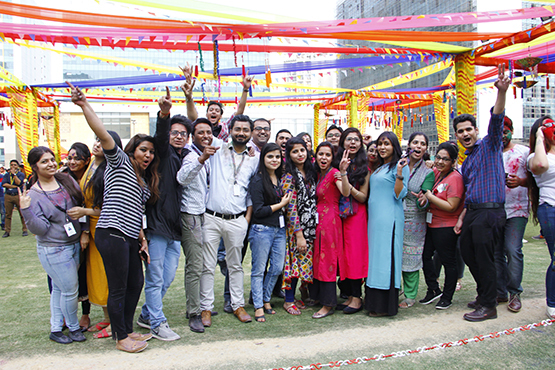 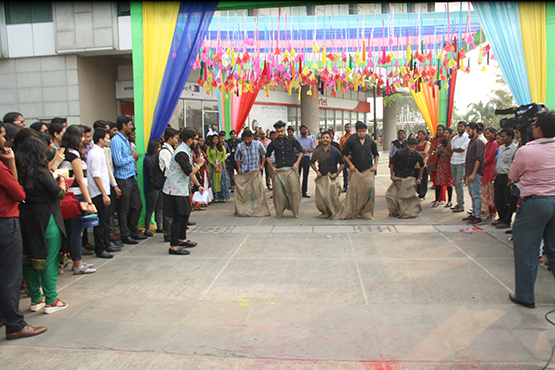 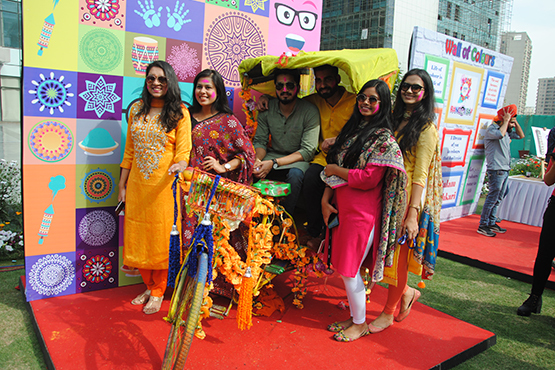 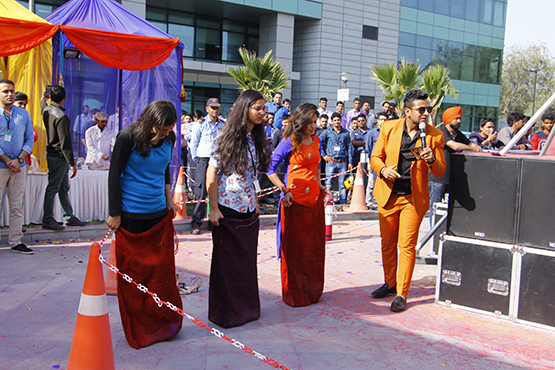 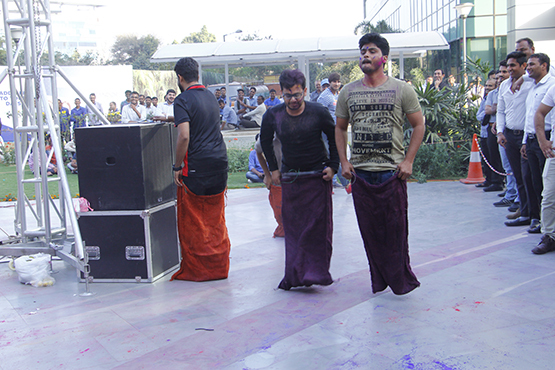 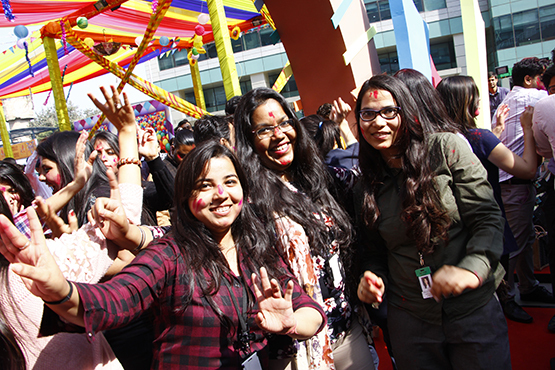 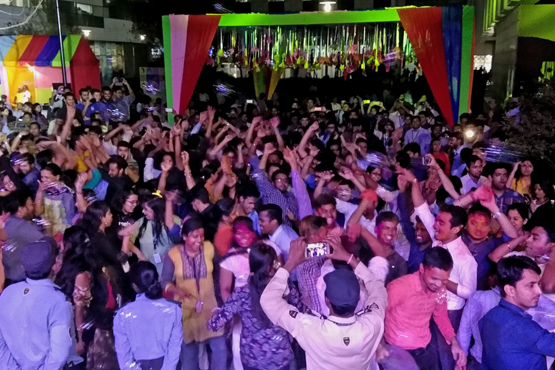 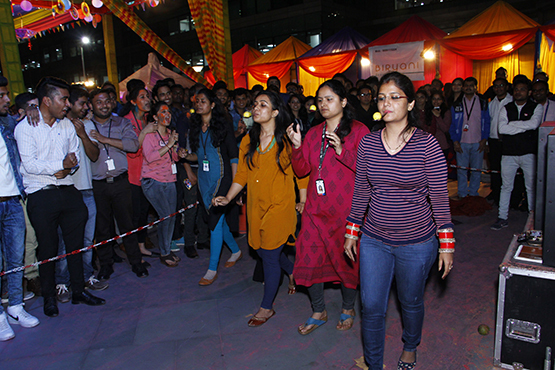 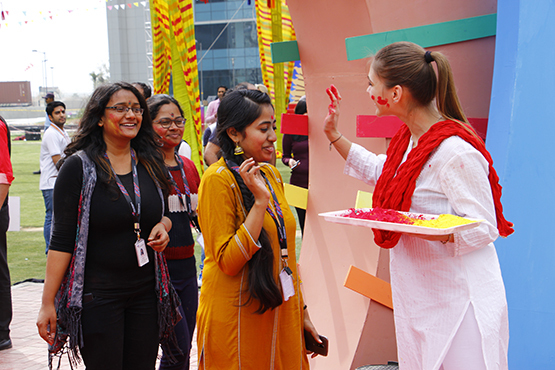 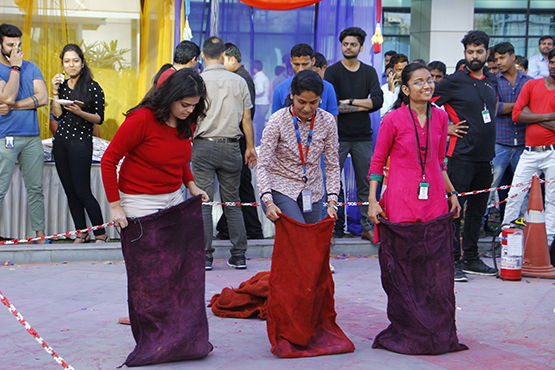 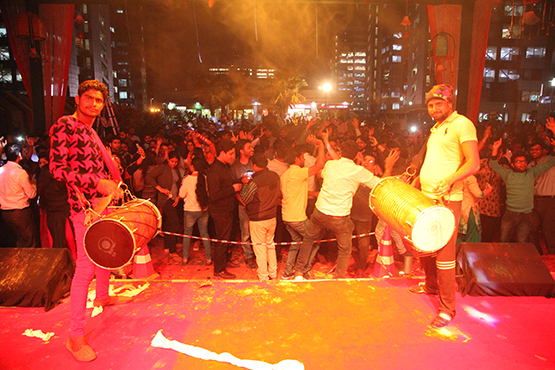 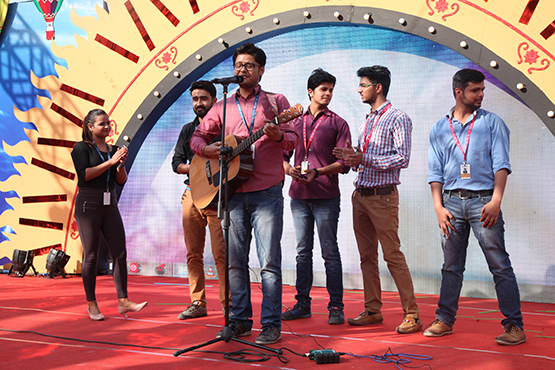 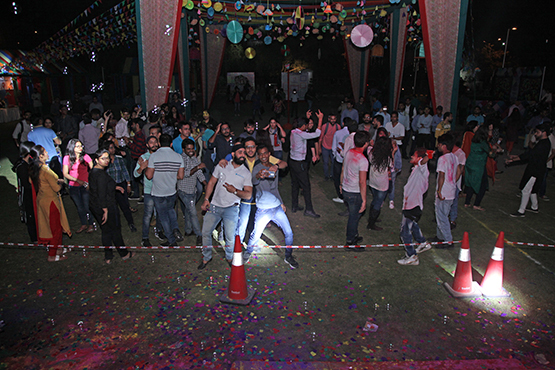 Candor TechSpace organised an event to enjoy this festival in all its campuses among its occupiers with the theme as “RANGOTSAV” from 27th feb – 1st March 2018. 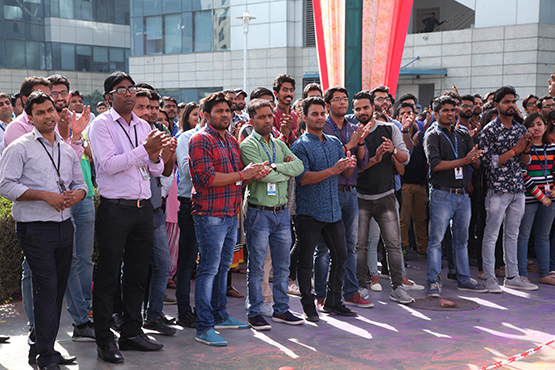 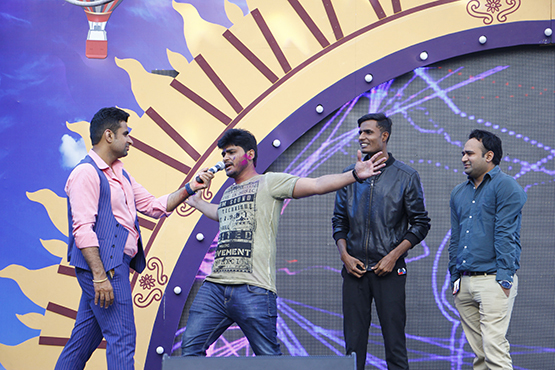 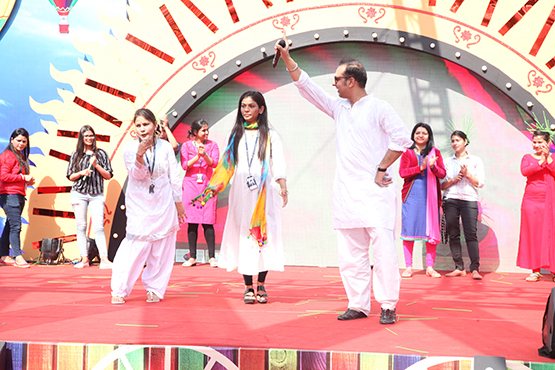 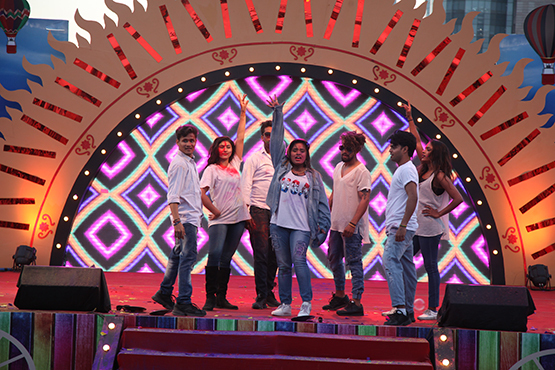 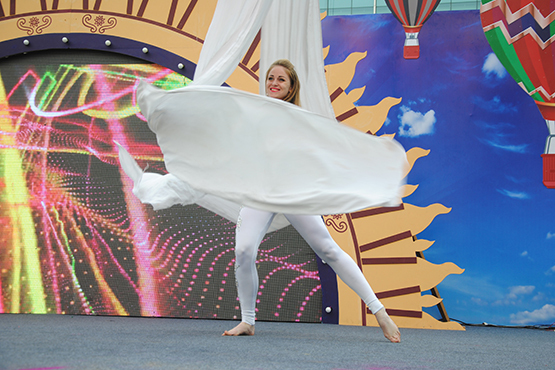 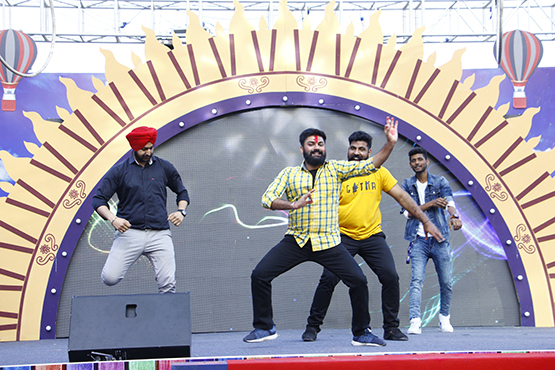 Inter-company competition called Corporate Challengers was organized, in which many companies came forward to participate as a team for dancing and acting categories and won wonderful prizes. 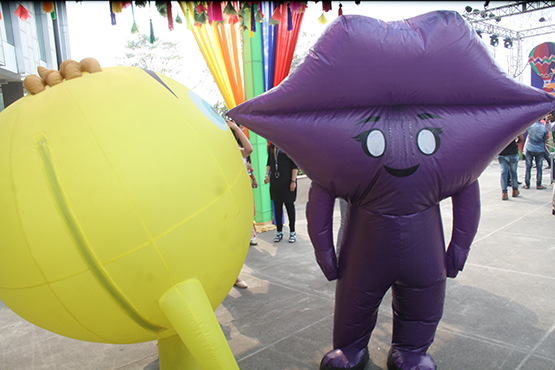 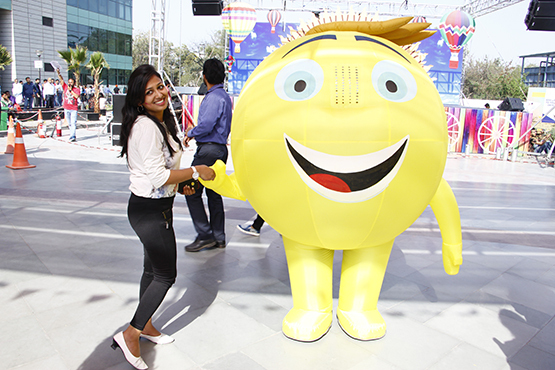 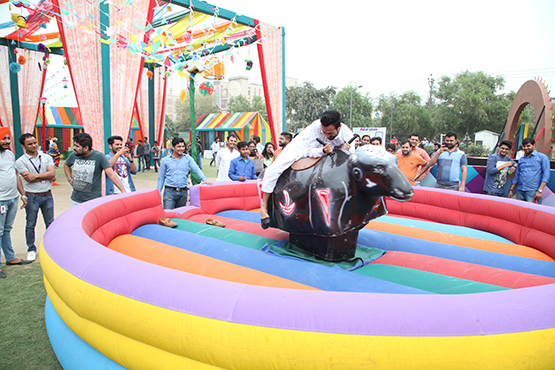 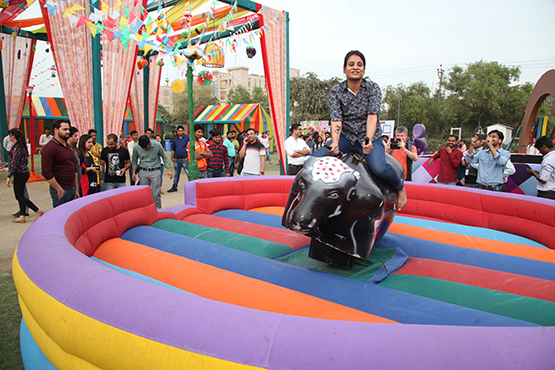 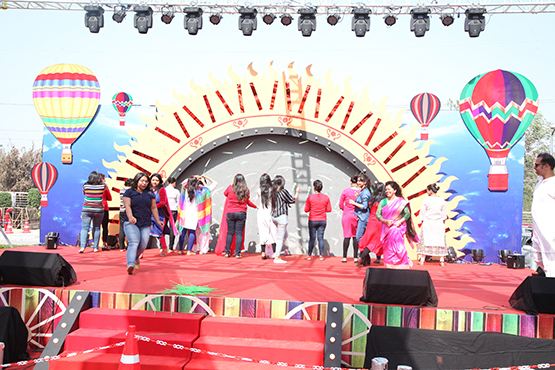 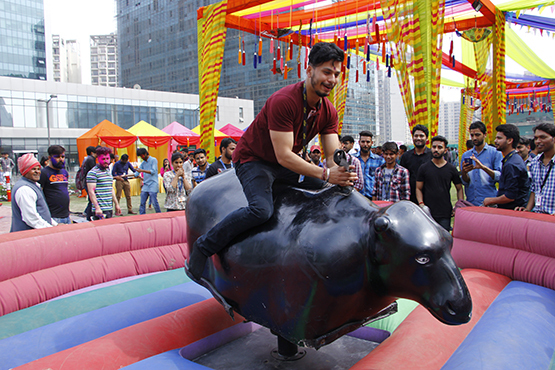 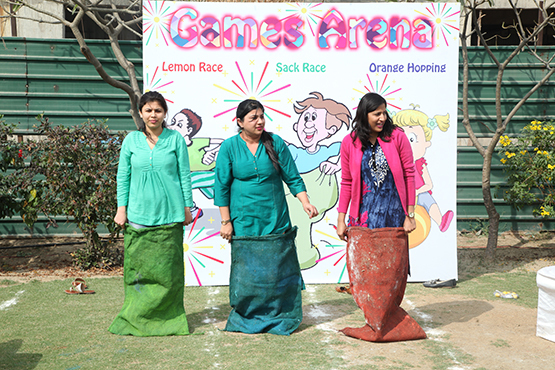 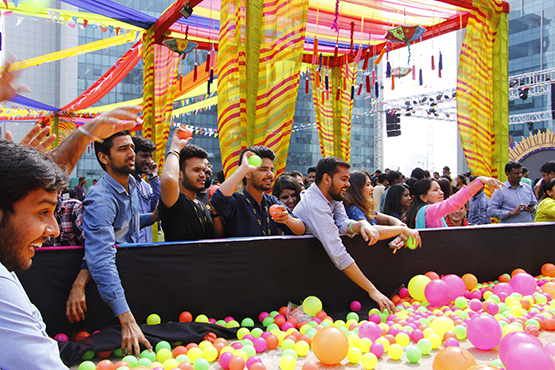 To enjoy the festival, a games arena was created for Sack race, Lemon race and Bull ride, along with this a colorful Zenga was set -up and a huge ball pit was installed to entertain the attendees. 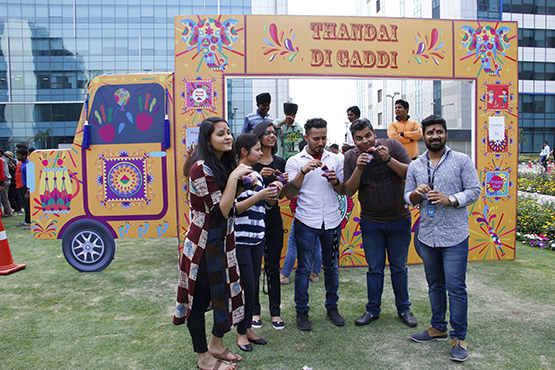 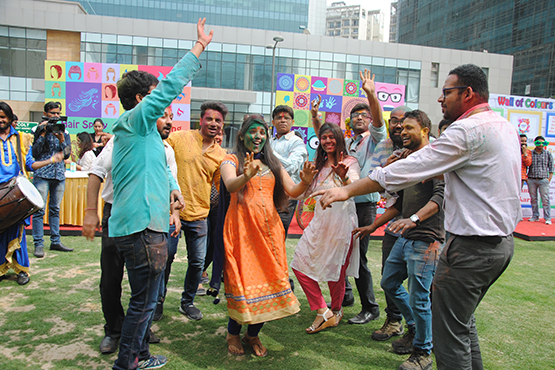 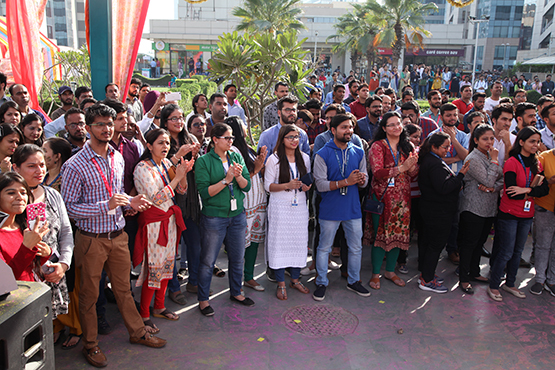 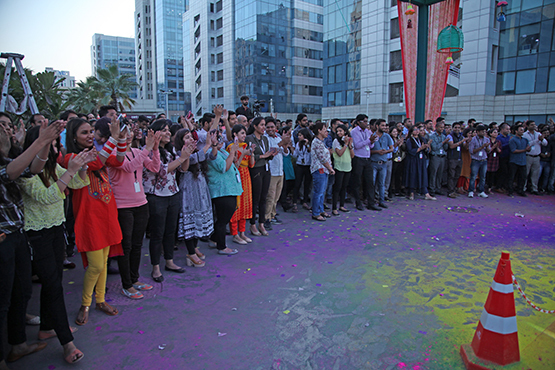 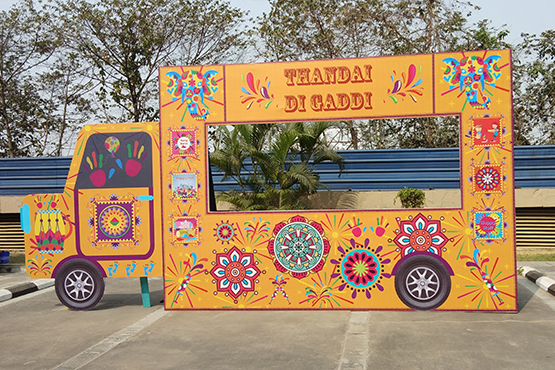 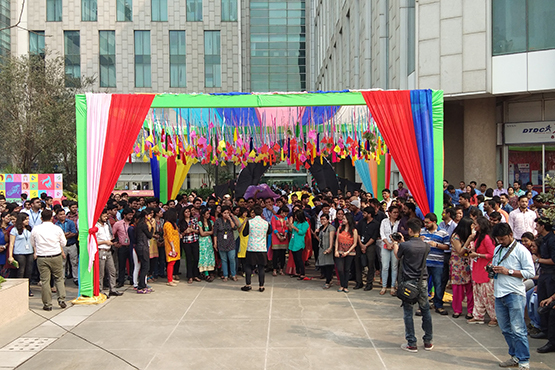 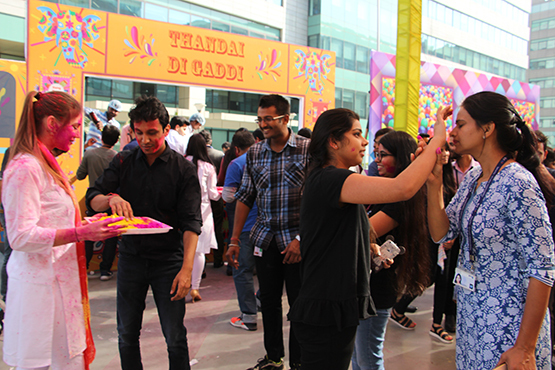 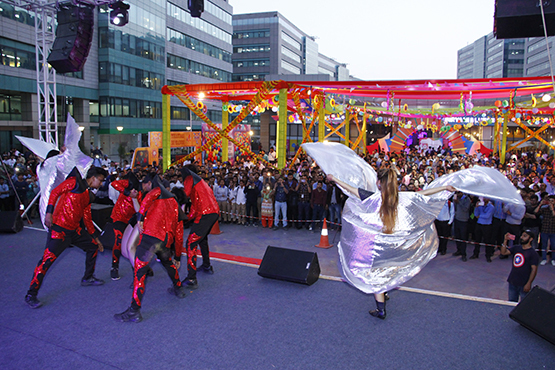 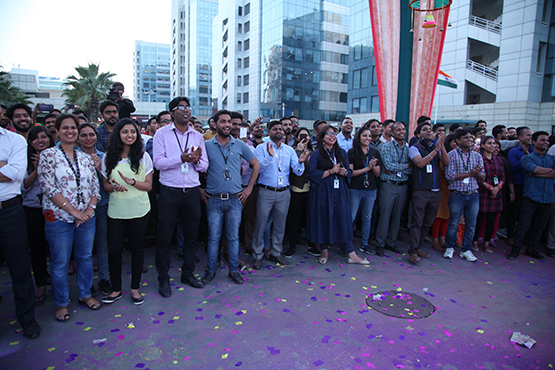 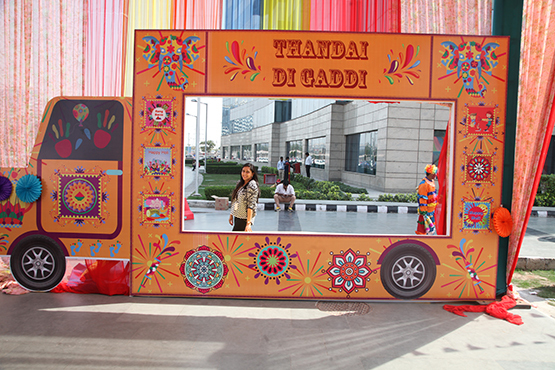 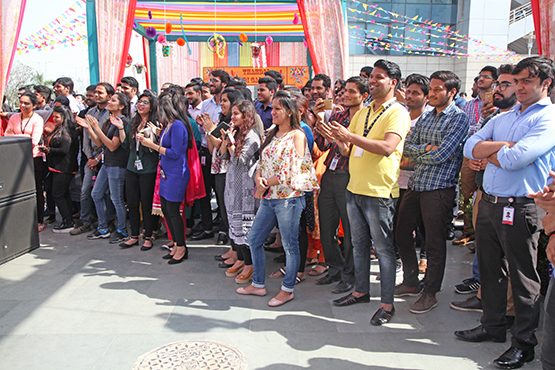 Food plays an intrinsic role in Holi celebrations, So Candor TechSpace spared no effort in taking care of this aspect by putting up festive inspired, mouthwatering food stalls and a thandai counter which ultimately gave people, the feel of festival. 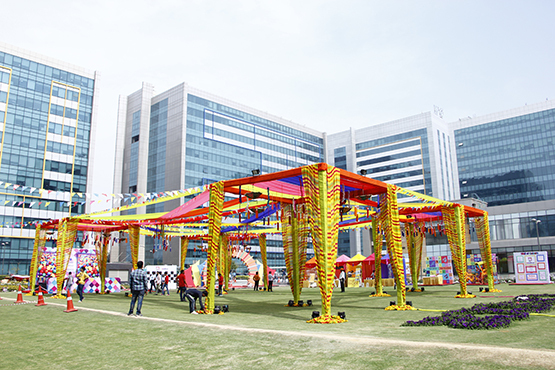 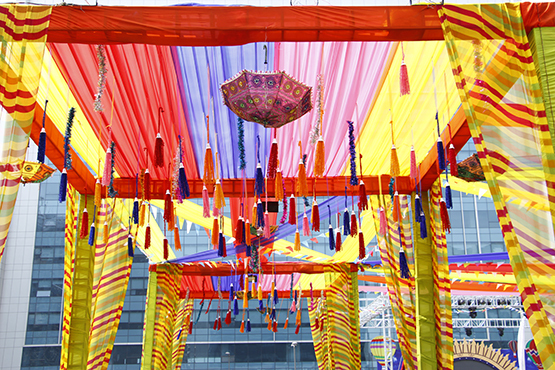 A pavilion was decorated with colorful hangings, decorative lights and a photo-op was installed for people to click the moments with their friends. 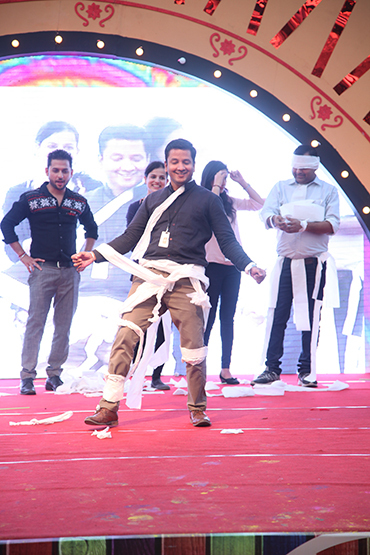 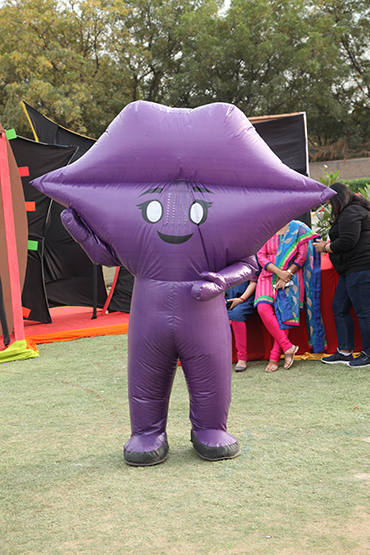 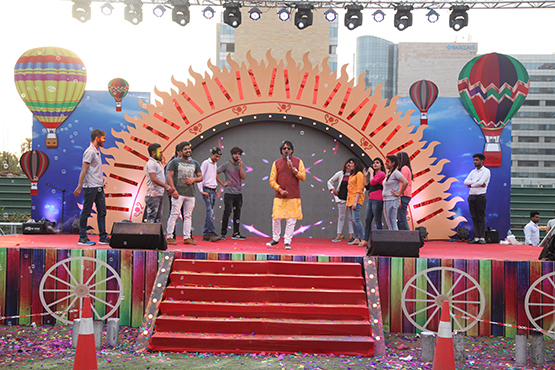 Emcee for the event was outstanding, he created lots of humour and exciting game activities for the audience. 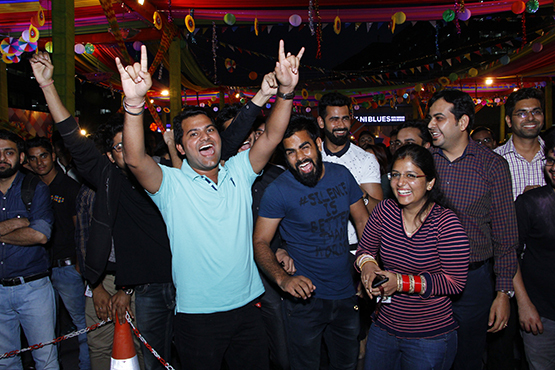 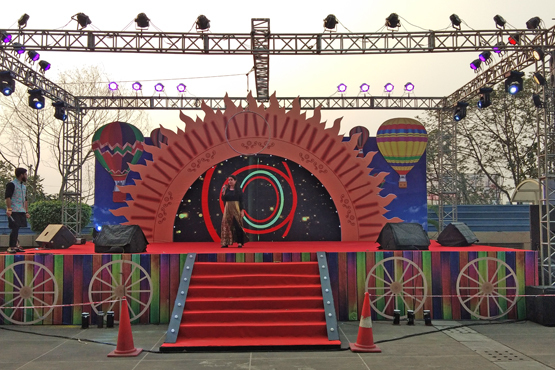 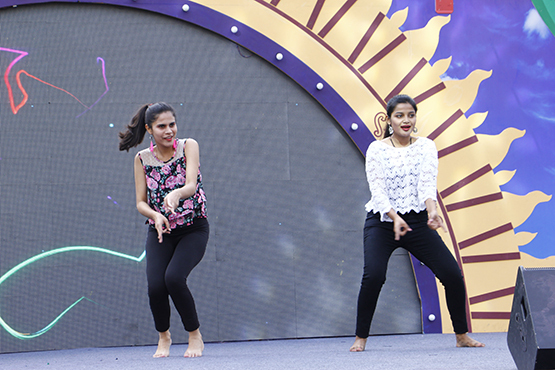 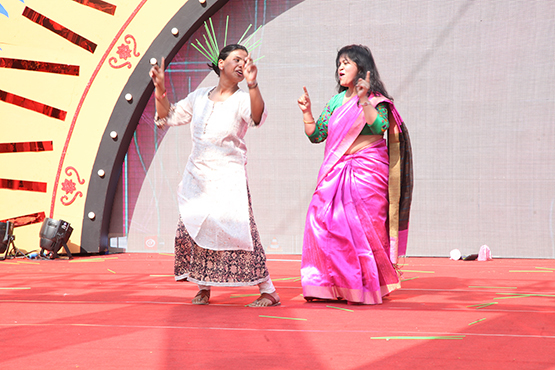 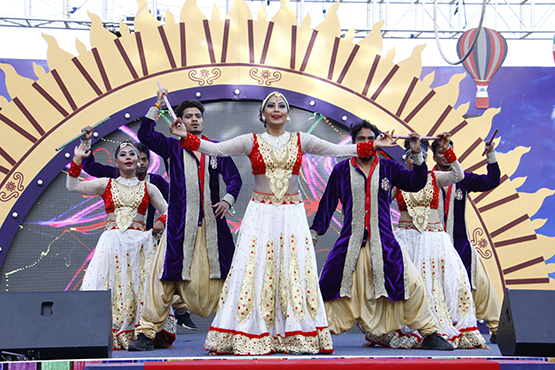 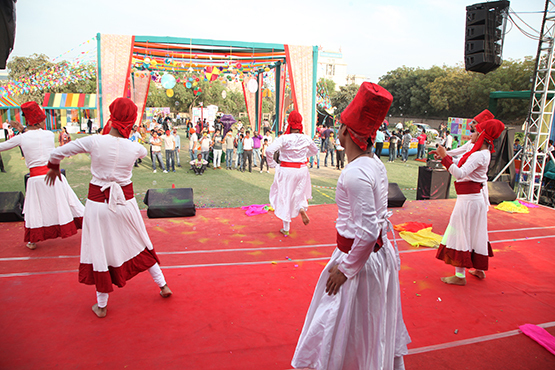 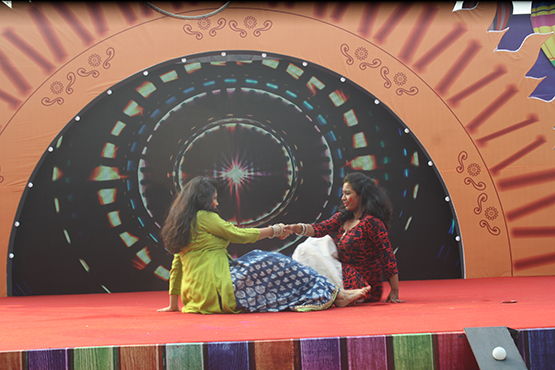 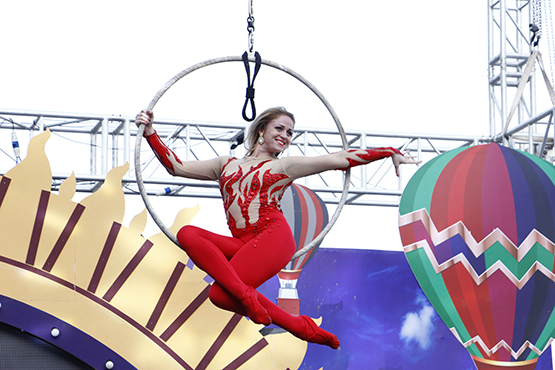 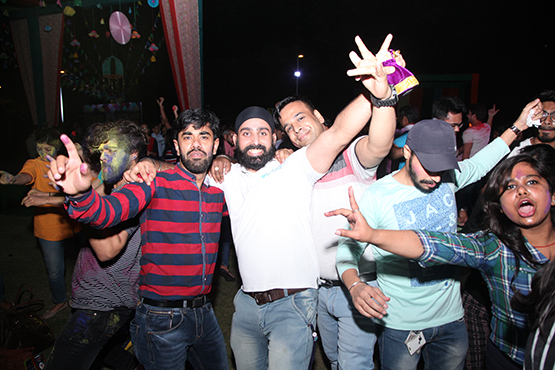 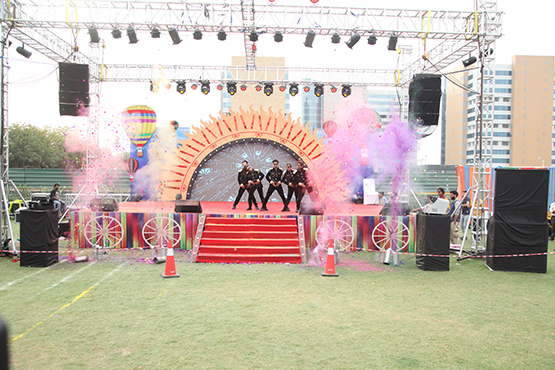 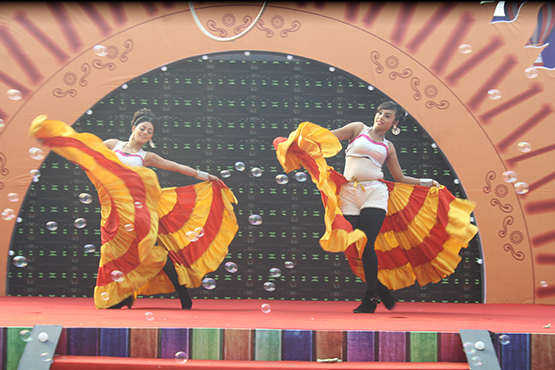 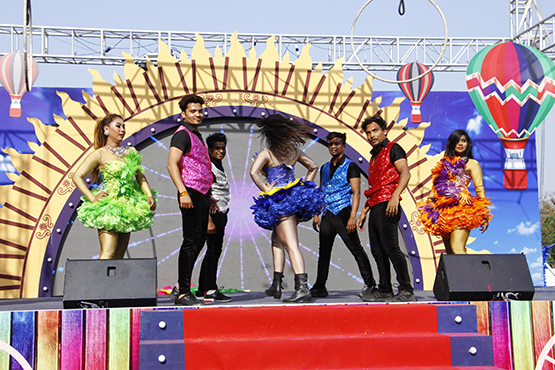 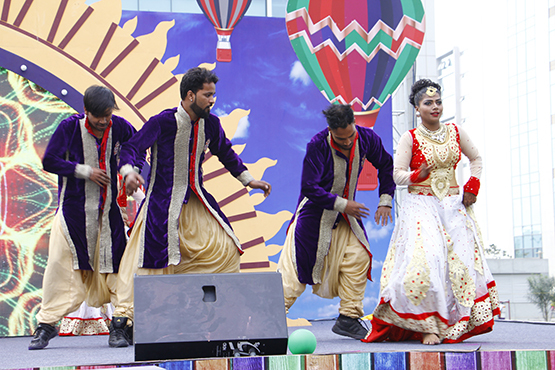 Along with this, professional dance troupe, Silk trapeze Act and live DJ+ Dhol were the key performances for the evening.